With the assistance of our team of experts, we make available to the clients Conveyor Chains, which are in confirmation with international standards. Conveyor Chains suits the requirement o diverse industrial segments for easy and quick transfer of material. 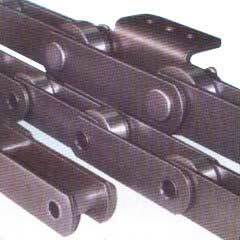 Conveyor Chains that we offer are supplied with zinc plated, carbon steel, nylon rollers and stainless steel.